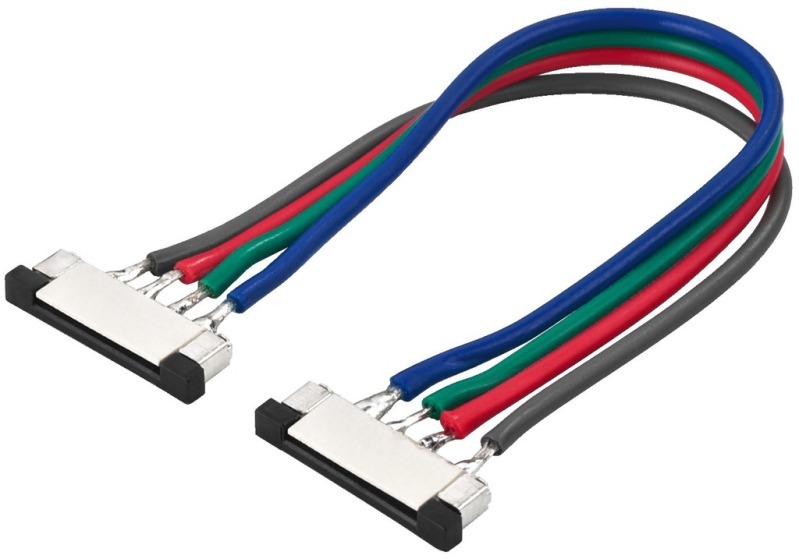 Two solder less insertion type connectors connected with 100mm cable. For quick connection of RGB LED Tape. Suitable for single colour 10mm Tape.